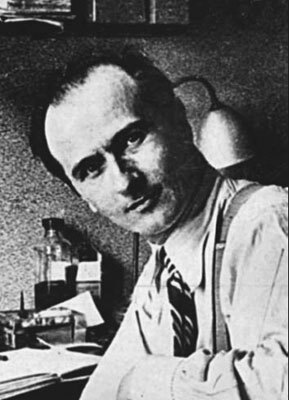 Camillo Berneri (1897-1937) was an Italian anarchist forced into exile in 1926 as a result of his anti-fascist activities. A professor of literature and philosophy, he refused to take an oath of allegiance to Mussolini and to join the Fascist “syndicate,” a state controlled corporativist organization (not to be confused with the revolutionary trade union organizations of the anarcho-syndicalists, such as the Union Sindicale Italiano (USI) – Italian Syndicalist Union). Berneri moved from country to country, being refused refugee status and often expelled. 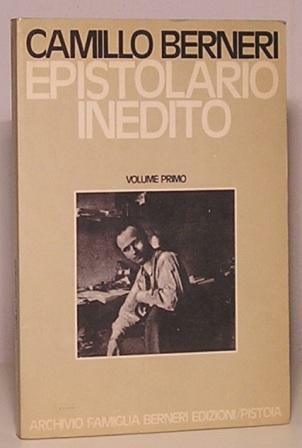 He was a prolific writer active in the international anarchist and anti-fascist movements. English translations of some of his writings can be found at: http://struggle.ws/berneri.html. When the Revolution and Civil War broke out in Spain in July 1936, Berneri went there to continue the fight against fascism, only to be murdered (probably by Stalinist agents, but possibly by Italian Fascists) during the May Days in Barcelona in 1937. Berneri was an eloquent critic of anarchist collaboration with the Republican government in Spain. In the following excerpts, translated by Paul Sharkey, Berneri dissects the vicious and absurd Nazi (“National Socialist”) doctrines of racial purity and superiority that were coming to ascendancy in Germany and other European countries. Originally published as El Delirio Racista (Buenos Aires: Ediciones Iman, February 1935). The anarcho-syndicalist, Rudolf Rocker (1873-1958), develops a more extensive anarchist critique of nationalism, racism and power in his book, Nationalism and Culture (Los Angeles: Rocker Publications Committee, 1937; reprinted by Black Rose Books), excerpted in Anarchism: A Documentary History of Libertarian Ideas, Volume One, Selection 121. 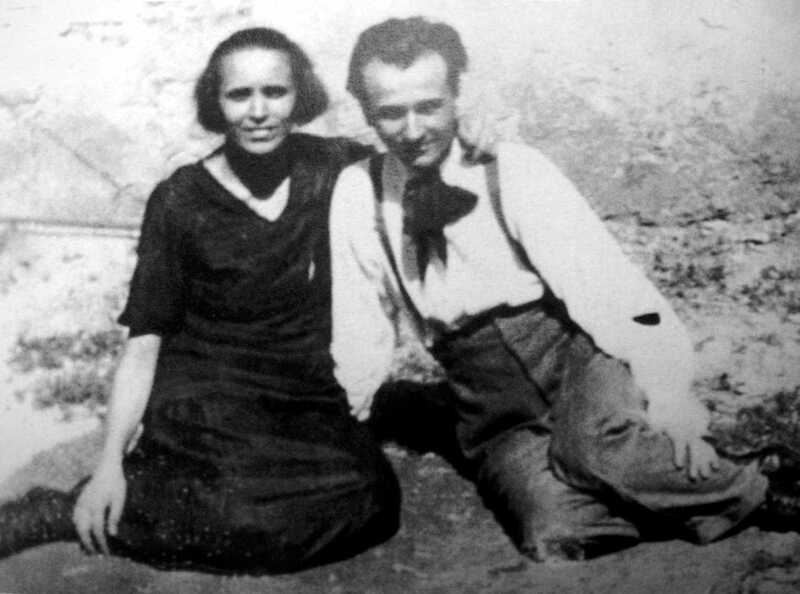 Berneri’s spouse, Giovanna, was also very active in the international anarchist movement, as was their daughter, Marie Louise Berneri. Selections from some of Marie Louise’s writings are included in Volume Two of the Anarchism anthology. …[I]t should come as no surprise to us to find that in the schools of Hitlerite Germany it is taught that Jesus Christ was born of a blue-eyed, blond-haired mother by a German soldier who had enlisted in the Roman army. The Prussian minister of Public Education and Worship declared in his appeal to the Protestant masses (18 July 1933) that the advent of Jesus Christ represented “ a return to Nordic influence”. Hardly surprising then that a Hitlerite newspaper (the Voelkischer Beobachter of 14 March 1933) should assert: “The Marseillaise is an ancient German air set to music by a writer from Wurttemburg”, while one teacher, a certain Zinner, published a 674-page History of Astronomy in which the work of French, British, American and Italian astronomers is summed up under the heading ‘Die Stern Kunde der Germanen’ (German Astronomy). But there’s worse. Architect Hermann Wille, at a meeting of the Society for the Study of Germanic Pre-History, has argued that the stone monuments marking prehistoric graves thus far uncovered are in fact merely the most ancient forms of German temples. The temple of Delos supposedly demonstrates the Germanic influence and some Germanic temples supposedly date back to the Bronze Age. The ancient Jews were by no means an ethnic unit and the whole of Jewish history is an ongoing succession of intermarriages. In Herod’s times, the Jewish people was a mixture of Idumeans, Egyptians, Phoenicians, Syrians and Greeks. There was a city called Scitopolis, a Greek name that refers to the Scythians who had invaded Palestine during the reign of Josiah (639-608 BC). Pella, Gadara, Hipos, Gamala and Gerasa (east of the Jordan) were Greco-Roman cities. Josephus Flavius (De Bello Judaico, Book VII, Chapter III, part 3) asserts that many Greeks in Antioch converted to Judaism. Meanwhile, in an interview with Copenhagen’s Dagens Nyheter, Streicher, the official organizer of the boycott of the Jews in Germany, conceded that the Jews are not a race; and, whereas in the Hitlerite press one frequently reads the assertion that the Jewish people is a mixture of races, when it comes to anti-Semitic propaganda the German National Socialists seize upon all the old chestnuts—the Jew is grasping, the Jew is lascivious, etc., perpetuating and spreading the fable that the shortcomings (real or imagined) of the Jews are a by-product of their “Semitic blood”. The “Jewish nose” is seized upon by all the caricaturists, whereas a German survey has found that 13-14% of Jews have an aquilinine nose and all the rest had “Greek” noses. Paragraph 4 of the National-Socialist Program declares that the Jews may not be “blood comrades” to Germans, while all the comparative analyses of blood show that there is no such thing as “Jewish blood” or “German blood”, nor any other national blood type. …Since Darwin, the notion of the human race has been closely bound up with that of heredity and the race issue has looked like a biological issue. It strikes me that… it is plain that race can no longer be viewed as a prime factor, as the absolute origin of physical and psychological features observed in the description of a human grouping, but rather as a checklist of those features. Race does not appear as an expression of a straightforward law, but rather as the extremely complex outcome of a whole series of influences. The funny thing is that one expert in such matters, the Japanese Adaki, insists that his own countrymen find the smell of white people offensive. In the nostrils of the Japanese, who are also expert in matters of race smells, white people all smell alike—be they Italians or Scandinavians, Jews or dolichocephalic, blond-haired Germans . “There are enough willing and hard-working (!) men and youths available to fertilize women and girls and luckily one vigorous male per ten to twenty women who have not yet lost the urge to bear children, if only we can do away with the cultural and unnatural nonsense of everlasting monogamy” (quote taken from The Brown Book, French edition, pp 202-203). The National Socialist theorist Gorsleben, in his book, The Apogee of Humanity, calls for “long-distance procreation”. “The life of a woman is largely determined by the man to whom she sacrifices her virginity: the children that such a woman brings into the world will be more or less influenced by that first lover. Science defines this phenomenon as long-distance procreation… That said, it is plain that the old custom of ‘jus primae noctis,’ to wit, the right of a nobleman or priest to deflower a virgin, was designed to better the race. We are indebted to that right for the existence of a humanity that is racially and spiritually of a very high order in certain regions” (taken from Arbeiter Zeitung, Vienna, 16 January 1934). 1. Remember that you are German. 2. If you are genetically healthy, you should marry. 3. Keep your body healthy. 4. Keep your spirit and mind healthy. 5. As a German, do not choose as a spouse anyone other than a German or someone of Nordic blood. 6. When choosing a spouse, check into ancestry. 7. Health is also a condition of outer beauty. 8. Do not marry for love. 9. Do not choose a playmate, but look to your spouse as a marriage partner. 10. The real meaning of marriage is healthy progeny. Survival is assured after the third or fourth child.